Challenge: Have You Seen This Wasp? Back on 28 September I found this insect occupied on a log as evening approached here in northeast Kansas. After my students found they could stump me with fairly basic questions, I told them that someday I would be back with more information on it. My enthusiasm far exceeds my working knowledge on most insects, so I would love to know both its identity and any natural history. Brad beat me by 30 min! I had an Ichneumon, but not the genus. 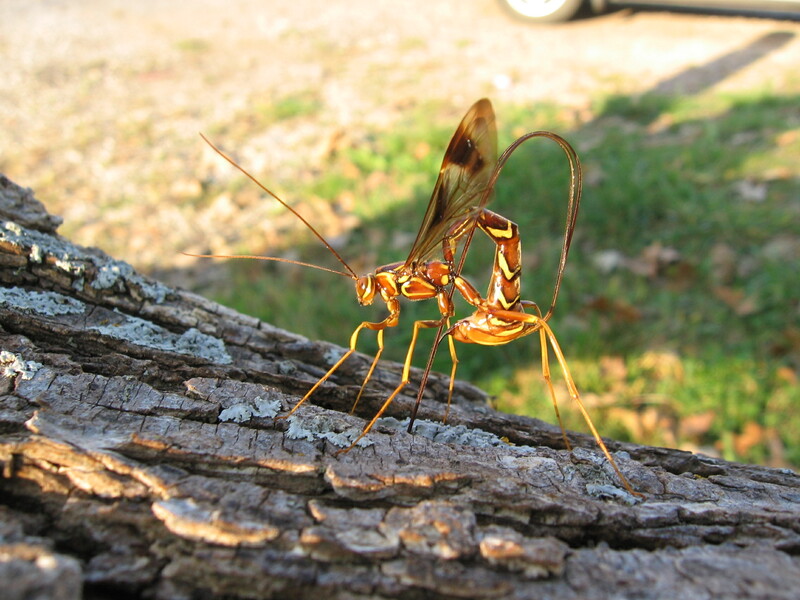 “This species is one of the largest ichneumons wasps in Kansas, although smaller than M. atrata (Fabricus).